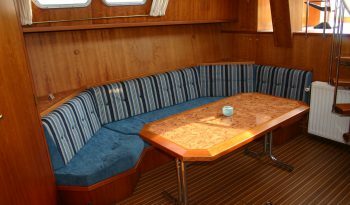 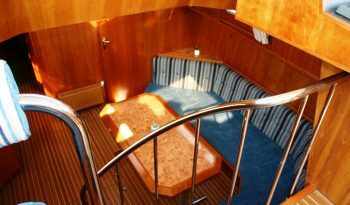 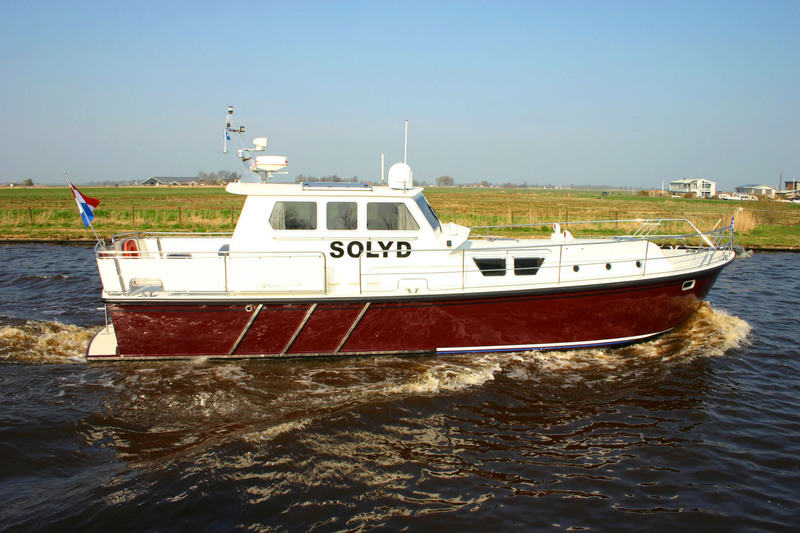 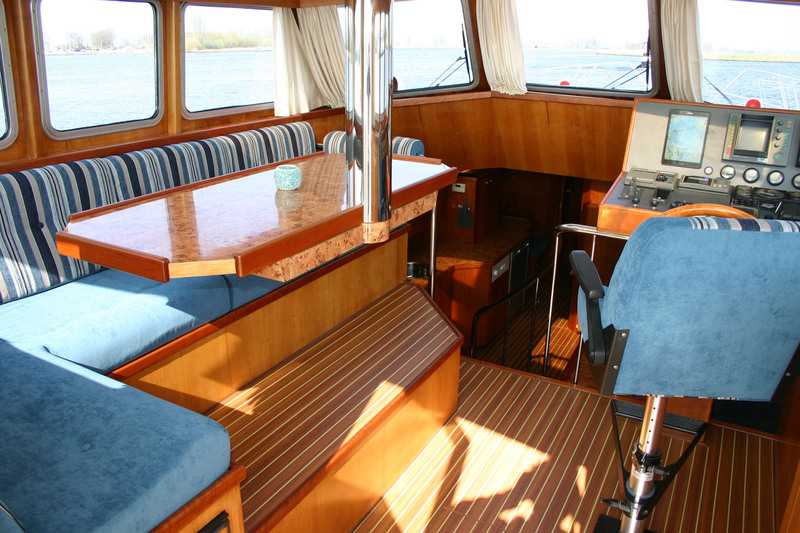 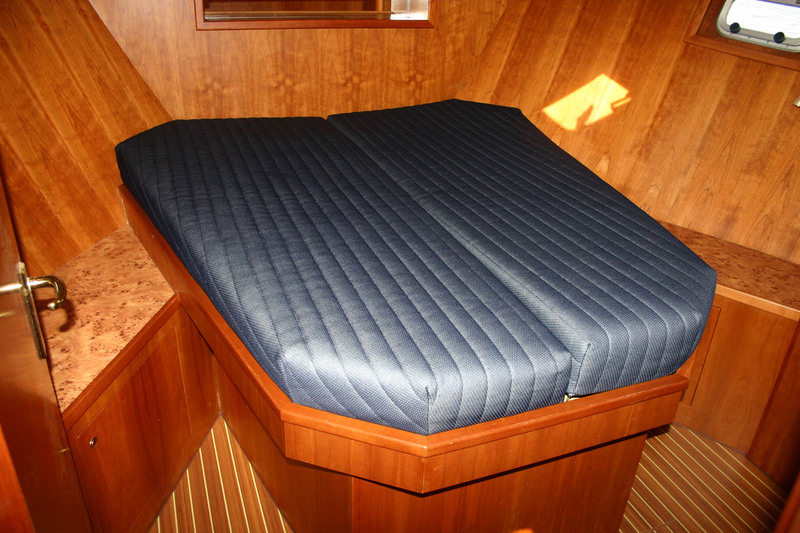 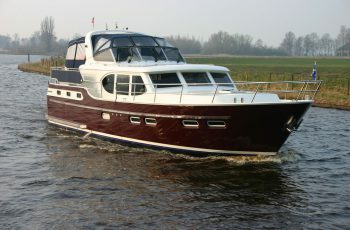 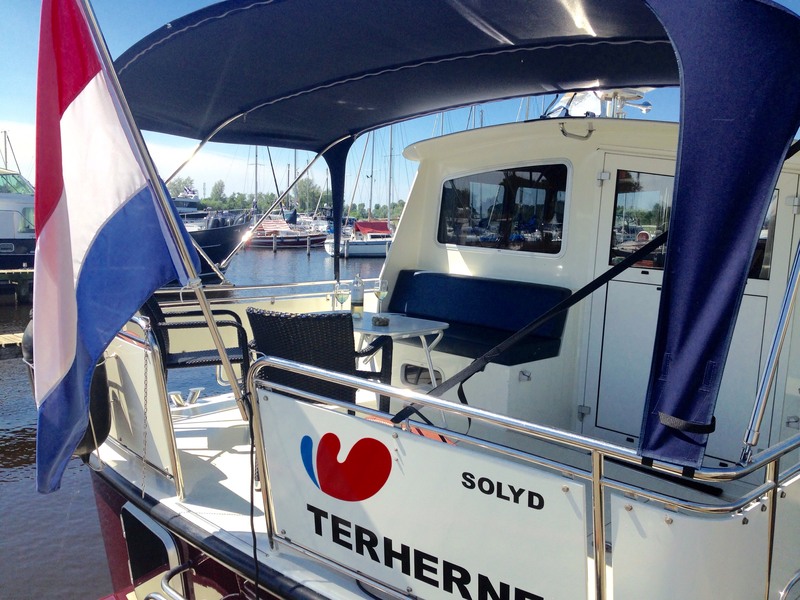 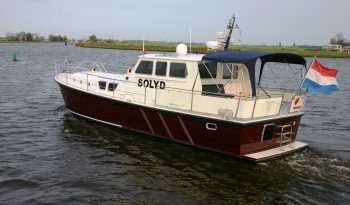 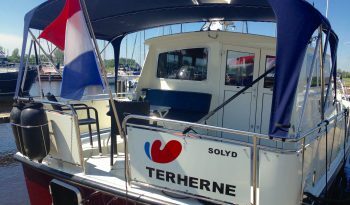 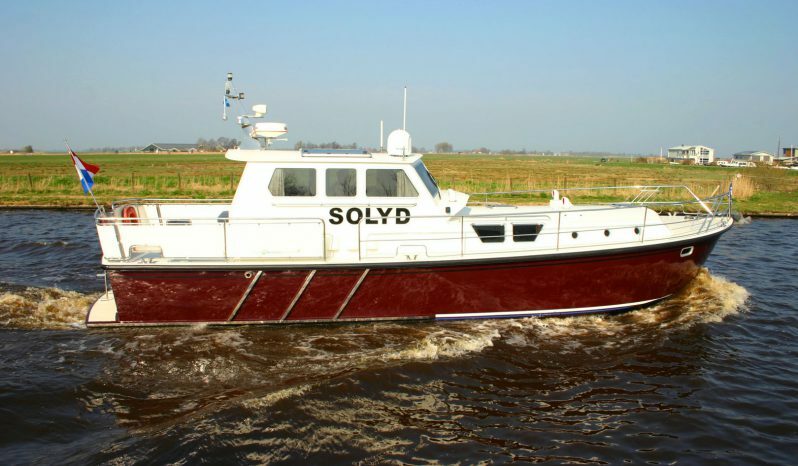 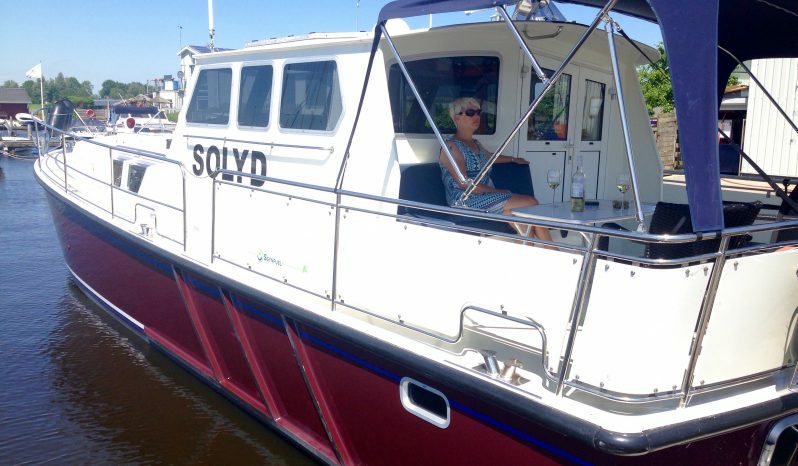 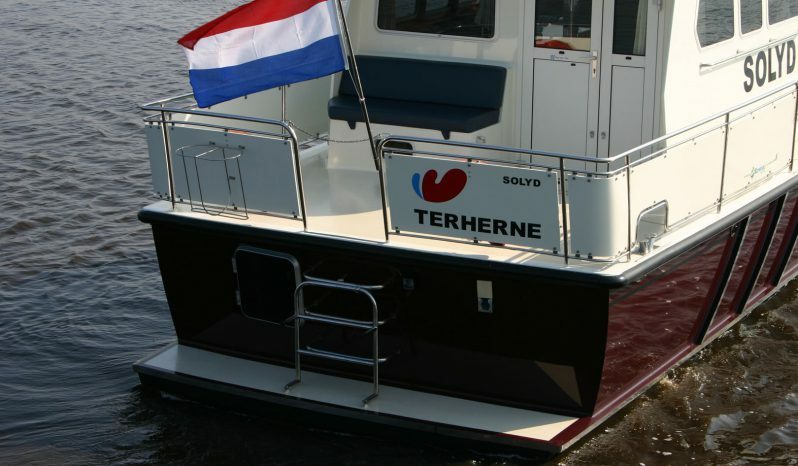 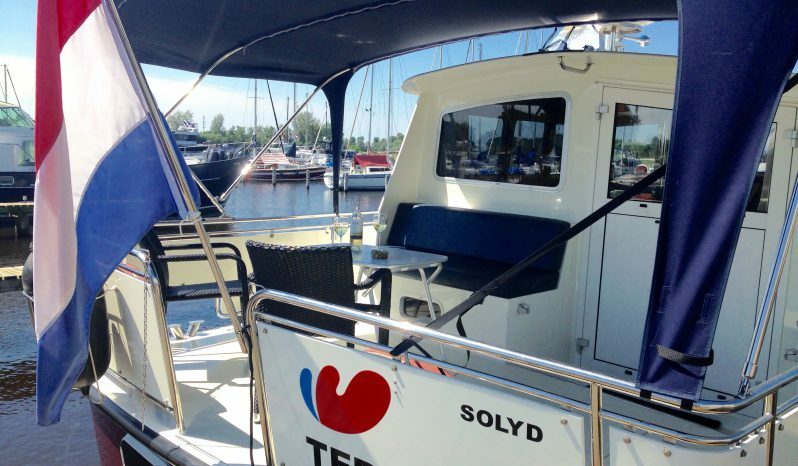 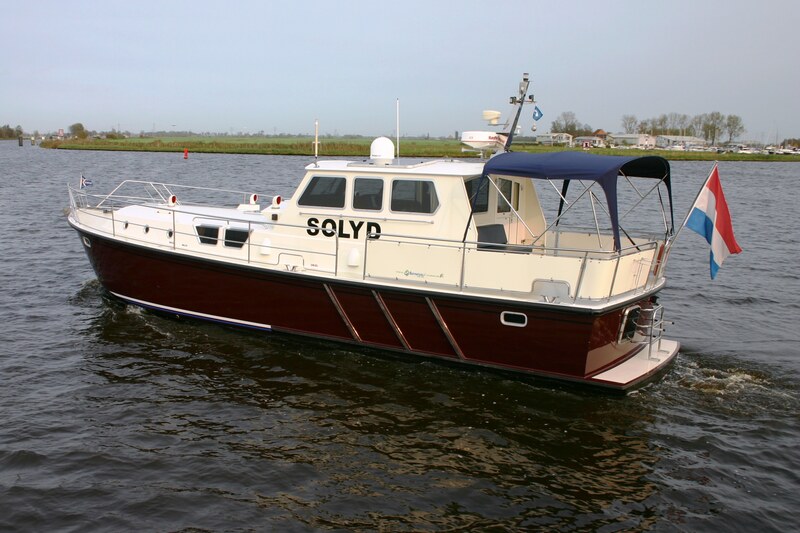 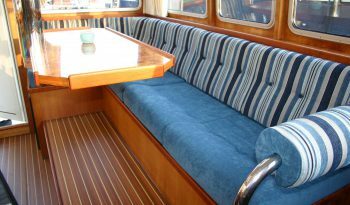 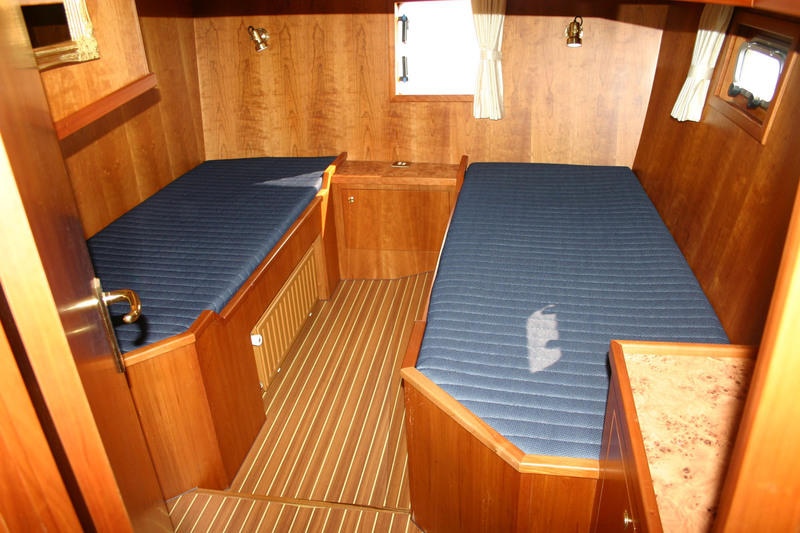 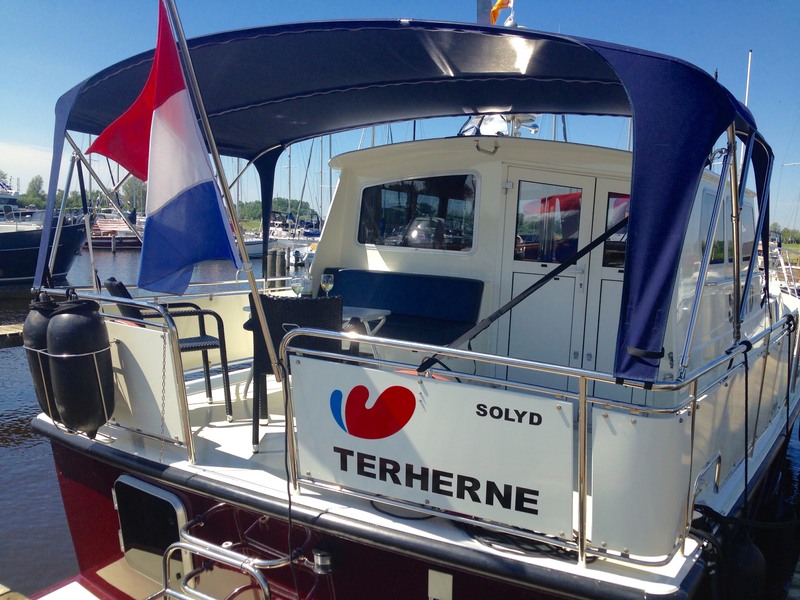 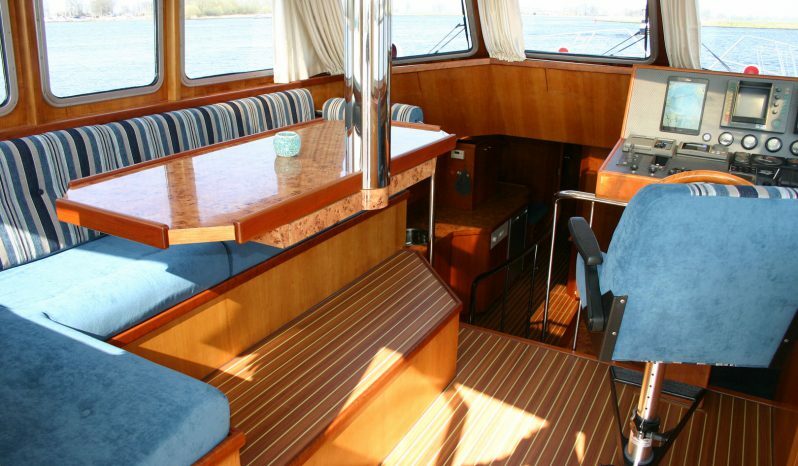 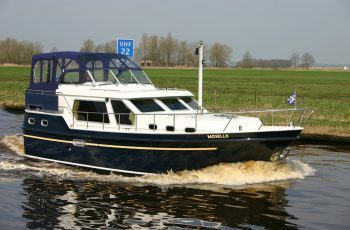 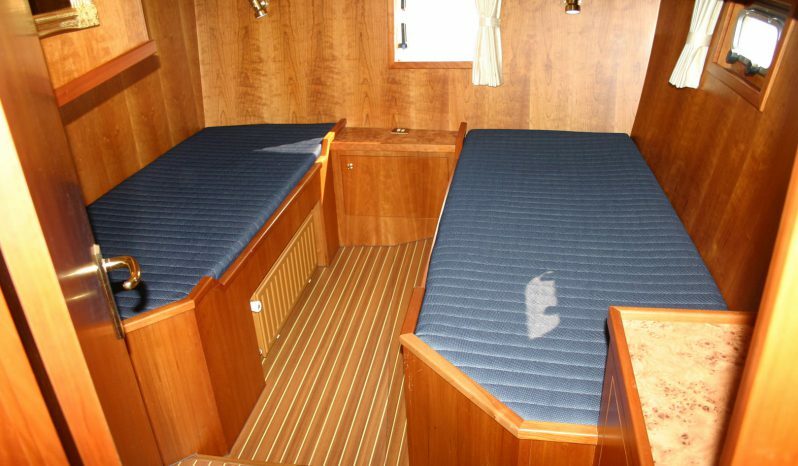 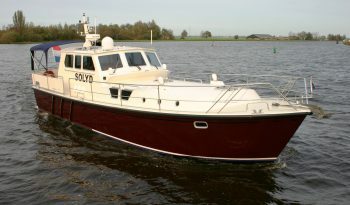 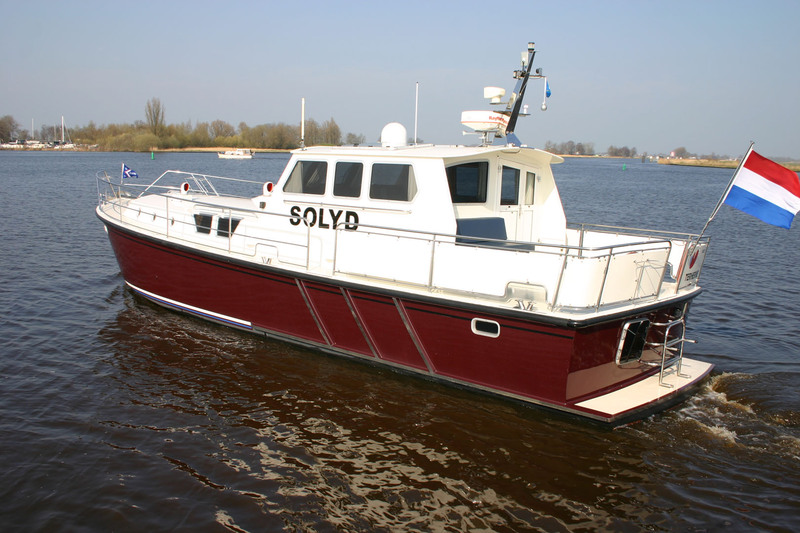 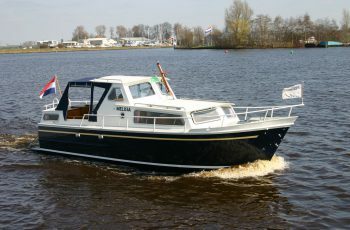 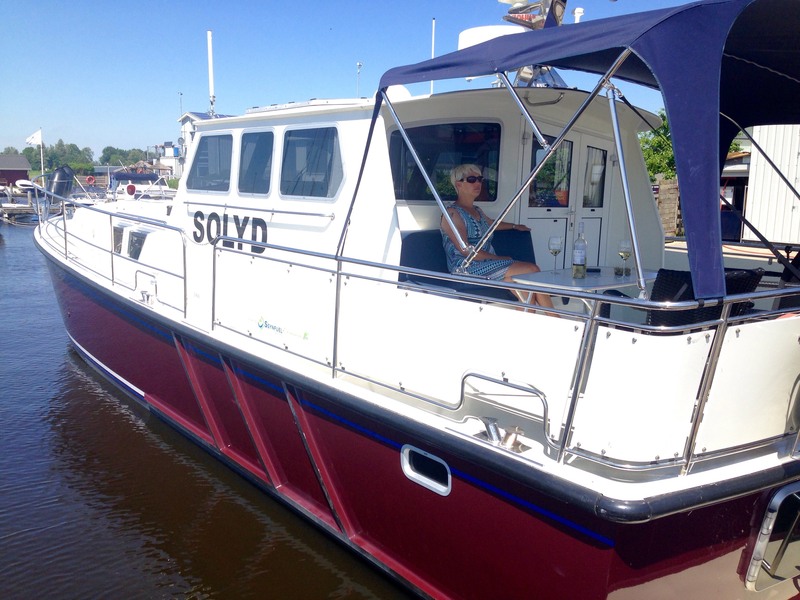 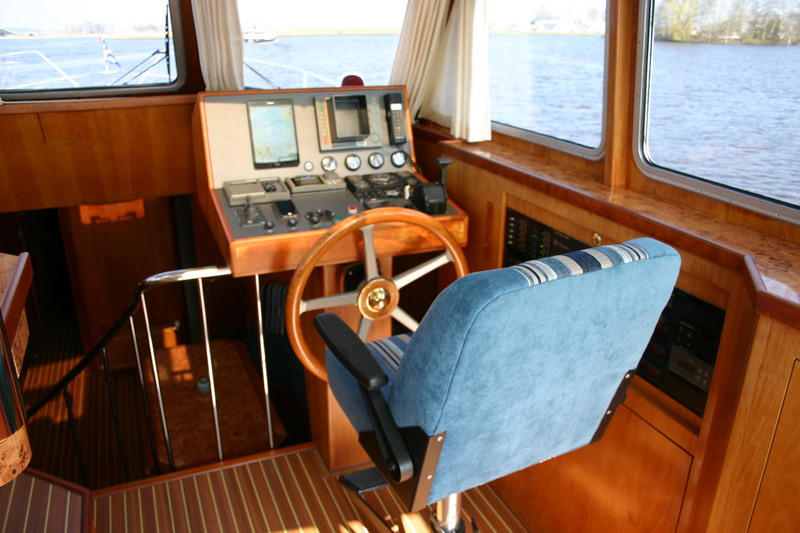 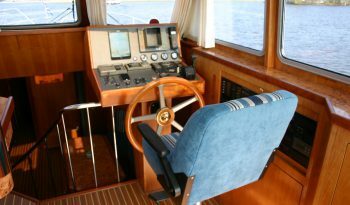 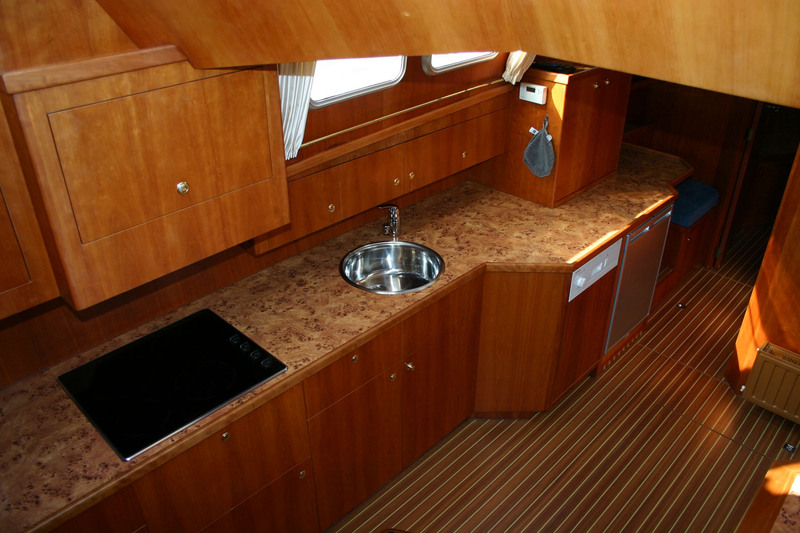 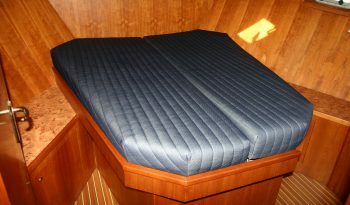 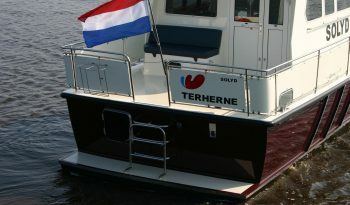 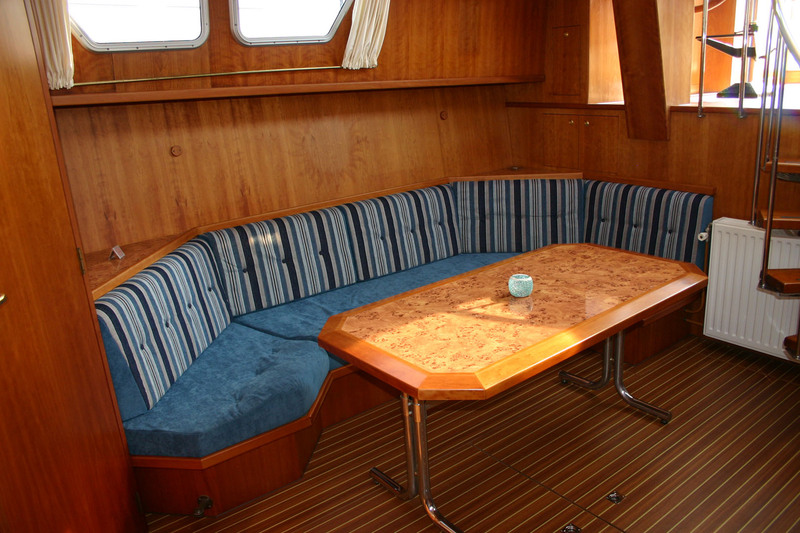 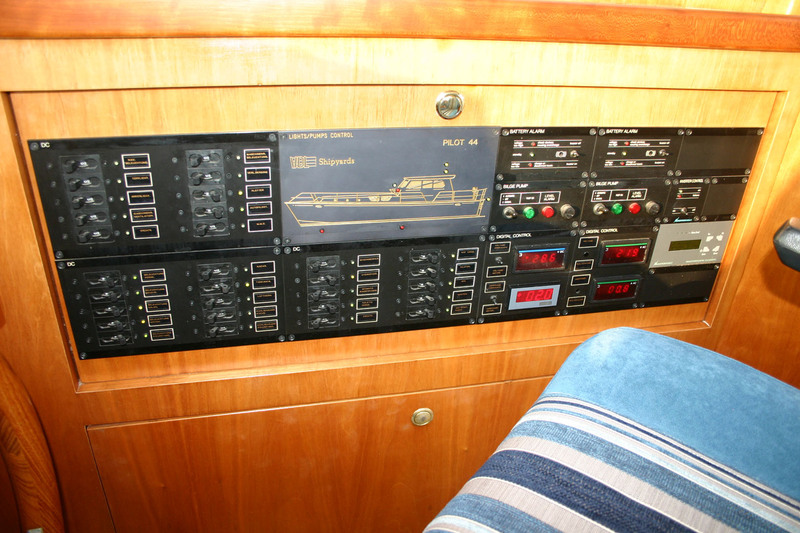 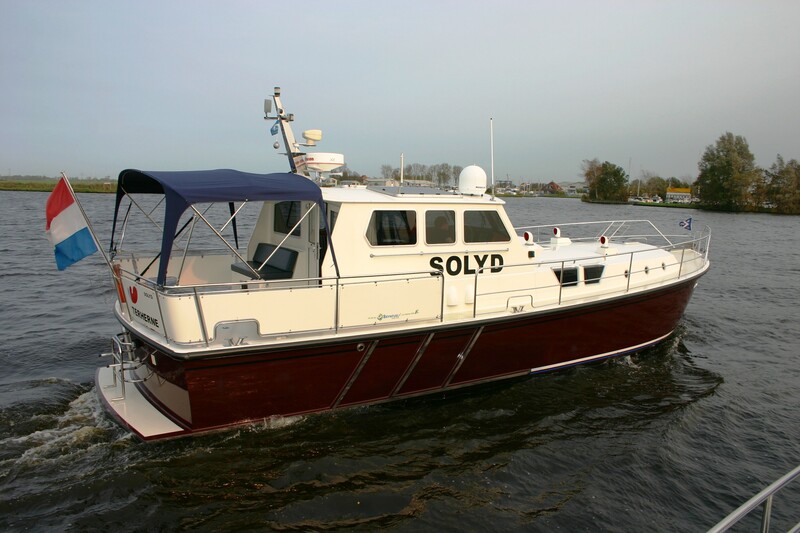 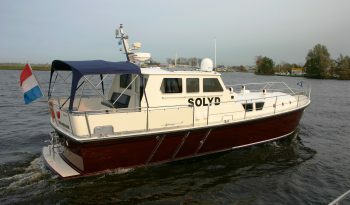 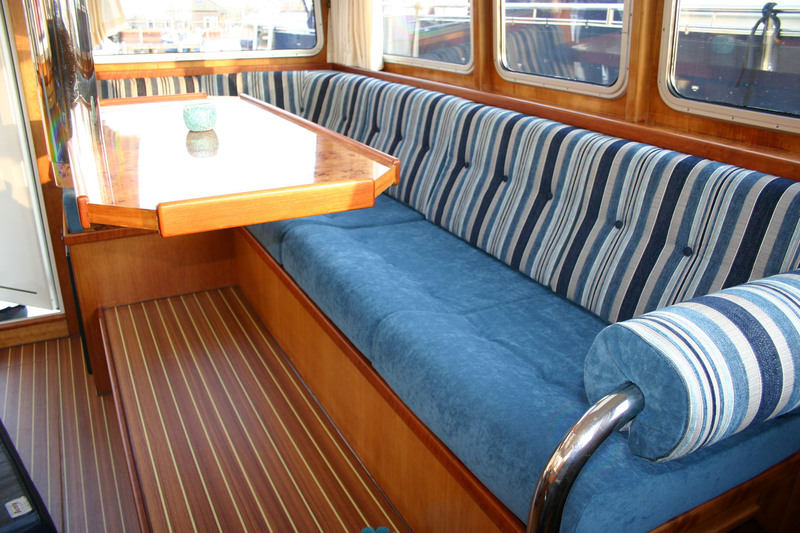 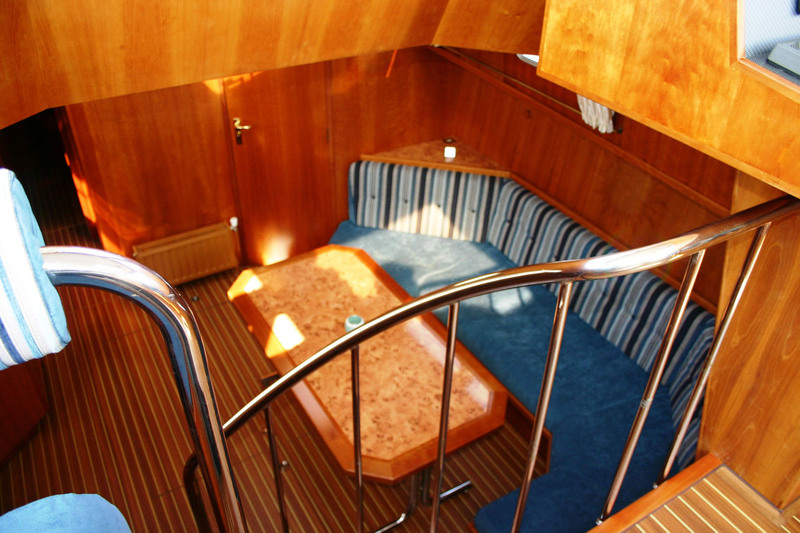 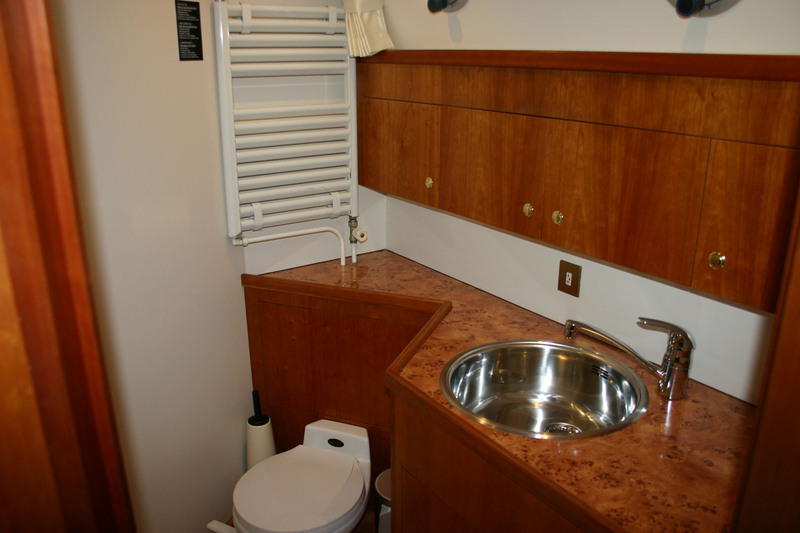 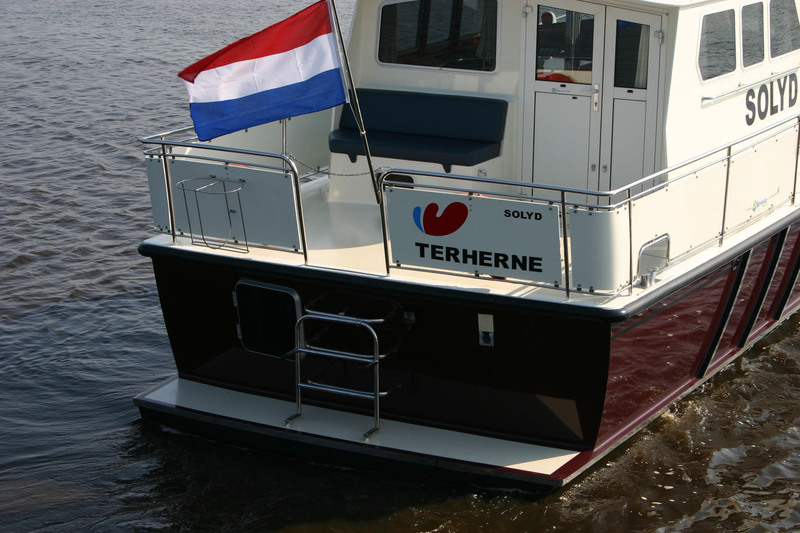 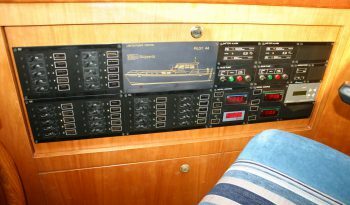 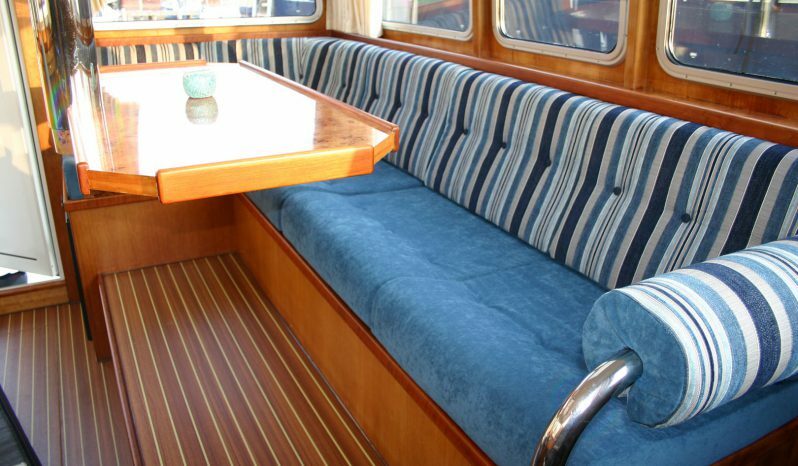 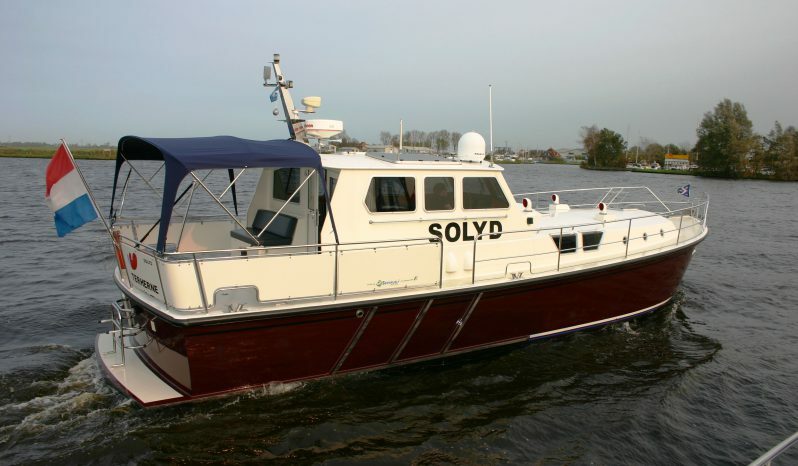 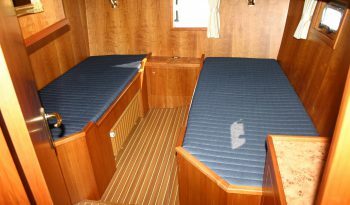 Solidly built ship, very suitable for longer stays and IJsselmeer area. 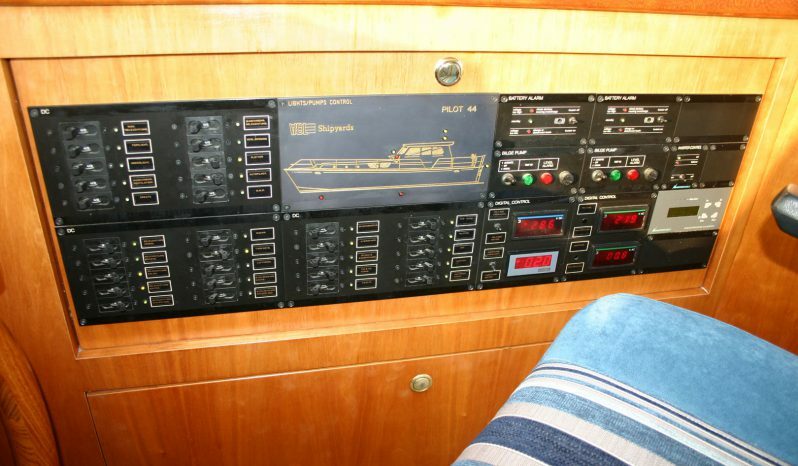 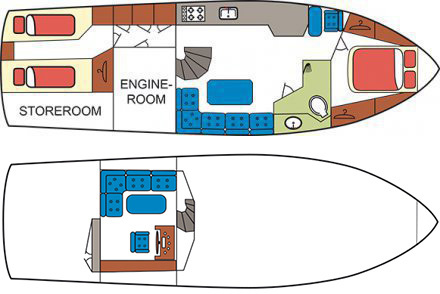 Particularly characteristic split-level interior, with the upper light and spacious pilothouse and down the salon and large galley with floor heating, chart table, bathroom and two spacious cabins. 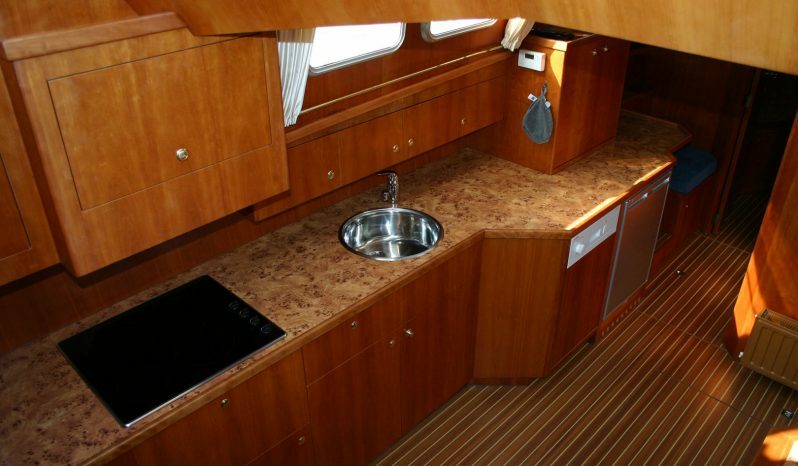 Kitchen with great workroom and storage. Even a dishwasher is not missing! 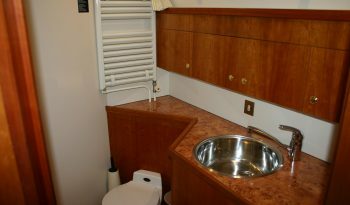 Owner’s cabin with large French bed and wardrobe. Guest cabin with two single beds and wardrobes. 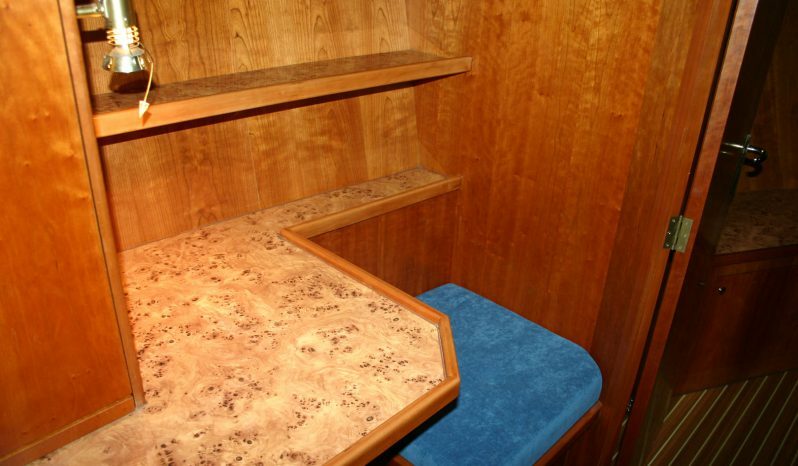 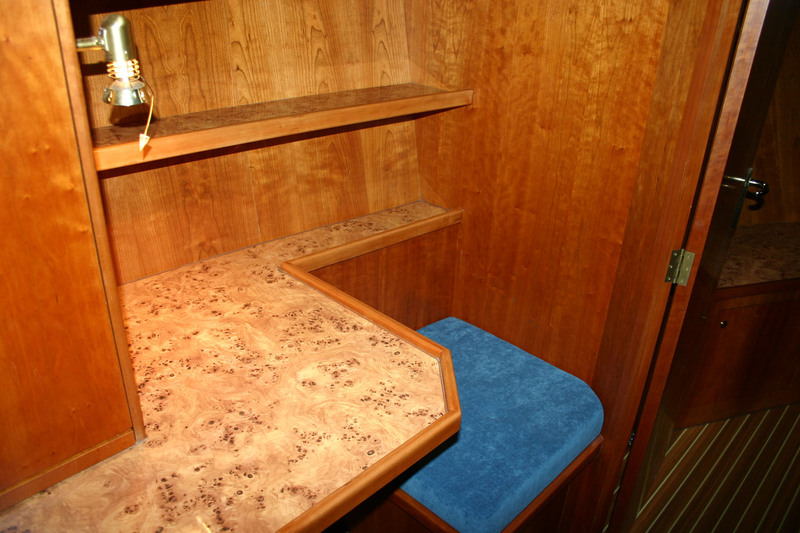 In the corridor to the aft cabin are also extra clothing (hanging) lockers.